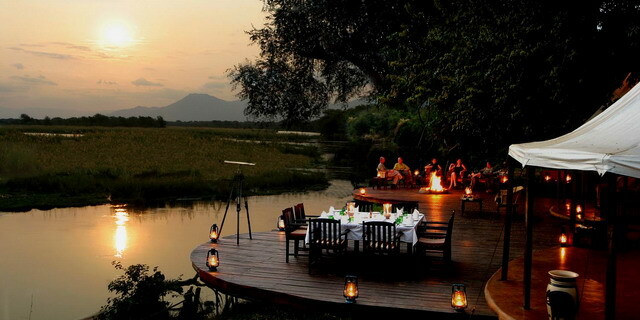 Tented safari camps are located in some of southern Africa's most remote and pristine wildlerness areas, and focus on the region's abundant wildlife. They typically offer a wide range of safari activities by which to experience the magic of the African bush, with an emphasis on observing wildlife in its natural habitat. Staying at a tented safari camp is not, in any way, to be confused with "camping". All tented safari camps in our portfolio feature, at a minimum, large canvas rooms with real beds and private, en-suite bathroom facilities (including full plumbing). 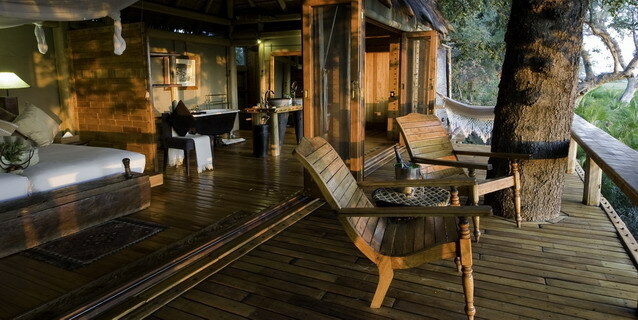 Tented safari camps range from very comfortable to exceptionally elegant and stylish; by virtue of their remote locations, most tented safari camps do not feature telephone or internet connection, air conditioning, or other "distractions" of civilization. The defining feature of a tented safari camp (versus a safari lodge) is that tented safari camps feature rooms with canvas walls (as opposed to bricks and mortar). They are generally located deeper into the wilderness and, because there is less physical separation between you and African bush, they facilitate a closer sense of connection to the wilderness - at night you hear the animal sounds and smell the fresh, sweet African air. 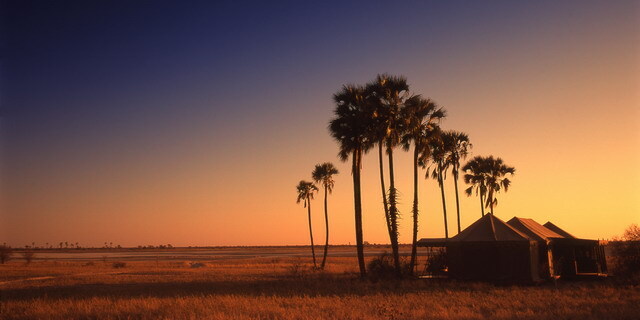 Tented safari camps are mostly found in Botswana, Zambia, Zimbabwe, and Namibia. 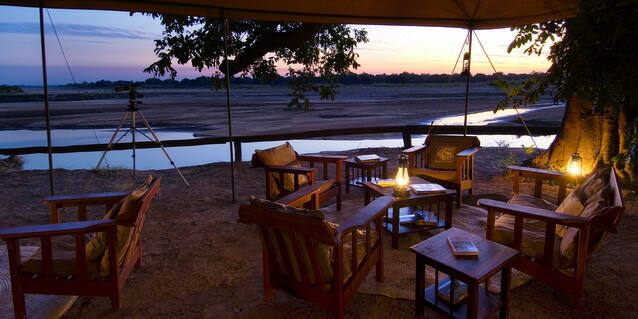 The list below represents some of our favorite tented safari camps in southern Africa.